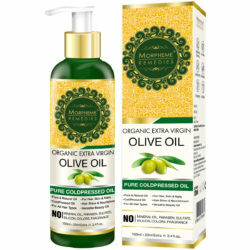 Morpheme Remedies Organic Sesame Oil is massage and hair oil, which contains sesame as the only ingredient. This oil makes the hair smooth and also saves the hair from getting damaged. It is not only applicable for hair but can also be used for skin care. 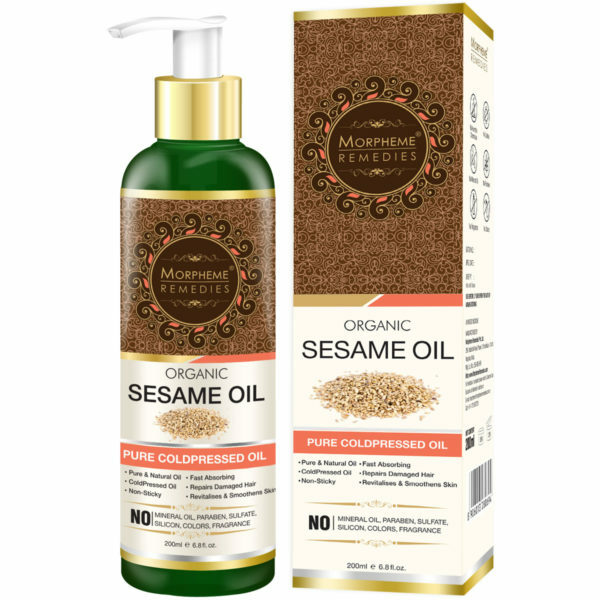 Morpheme Remedies Organic Sesame Oil protects the skin from drying and also provide nourishment to it. This oil can avoid tanning as well as protects the skin from harmful ultra-violet (UV) radiation. This product is made up of natural sesame oil and doesn’t contain paraben, sulfates and chemicals. Organic Sesame oil which is also named as Til oil in Sanskrit is best of all the oils. It contain linoleic acid, Vitamin A, B, E, large amount of minerals as well as various antioxidant as well as anti-bacterial properties. When the Sesame oil is being massaged in the scalp twice a week, excellent results can be seen as it nourishes the scalp. The oil protects the hair from getting damaged and brings shine to it. 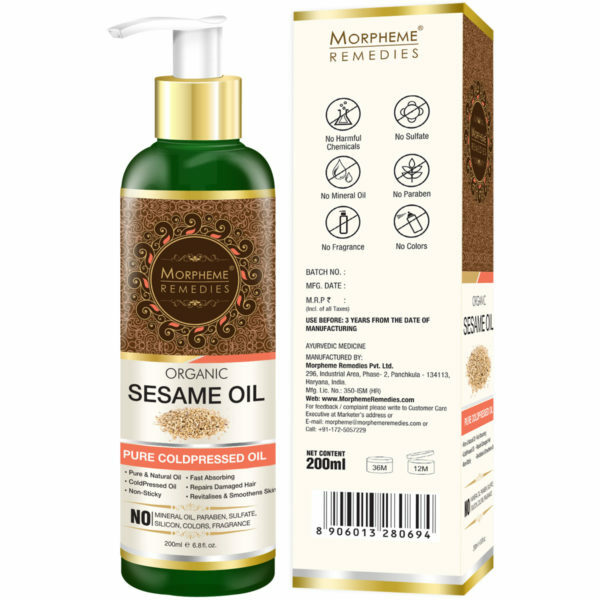 Morpheme Remedies Sesame oil is also helpful in removing the dandruff and do act as a conditioner. Only natural ingredients are being used. No chemicals are added so as to provide artificial fragrance. 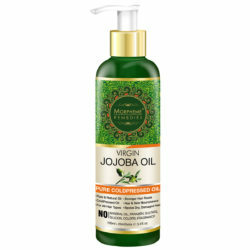 It contains only healthy oil which can be used in hair and skin and not meant for cooking. Rich in nutrients such as vitamin A, E and B and also contain fatty acids such as Linoleic acids, palmitic acids and stearic acids. Cold pressed pure and natural oil with 100% pure sesame seeds. Ideal for aromatherapy and massage therapy. Hexane free, does not contain synthetic ingredients and also chemical free. 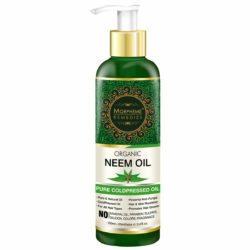 Helps in providing nourishment in the hair roots, scalp and also nourish the body & keep moisture balance. Sesame oil has natural and detox property which helps in keeping skin fresh, clean and healthy. Take a medium quantity of oil and apply it on the body and massage in for 5-10 minutes daily. One can add sesame oil in yoghurt and turmeric and apply it on hair for one hour. This can be helpful in fighting dandruff and nourish the hairs. The small amount of Sesame oil can be used in the dry hair to make it look shiny. Why should I use Morpheme Remedies Organic Sesame oil? Organic Sesame oil has 100 % of natural sesame seed oil which is beneficial for both skin and hair. 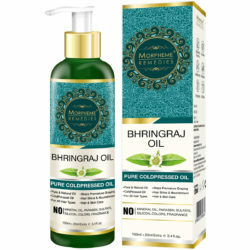 Regular usage of this oil can strengthen the hair roots and also provides brightening skin. My hair is rough and sensitive; can I use this hair oil? This product contains sesame seeds which is rich in nutrients and do make the hair smooth and shiny. Are there any kind of harmful chemicals present in this facial cleanser? 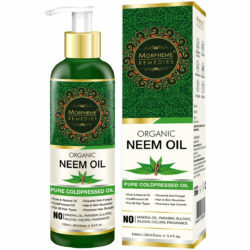 Morpheme Remedies Organic Sesame Oil is totally made up of natural sesame oil and none of the chemicals are used in it. Sesame oil is great for the skin. I just started using this sesame oil. It absorbs well and leaves the skin soft and bright. Sesame oil is an excellent body massage oil. I am using it for a few days. Very good quality. 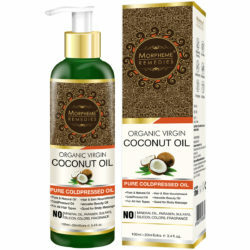 Great oil for skin and hair. It works very well as carrier oil. I use this for face and hair packs. This is excellent quality sesame oil. It is organic and cold pressed. I use this for moisturizing my skin. Skin looks radiant and healthy. Top grade sesame oil. It is great for both skin and hair. Works very well as carrier oil. Sesame oil absorbs easily and leaves skin soft and adds luster. Massaging with sesame oil keeps my skin smooth and glowing. It is good for the joints. I am using this sesame oil for quite some time. The oil has a natural nutty aroma. It is of good quality. It helped give skin a smoother and radiant appearance. Sesame oil is extremely beneficial for the skin. I selected sesame oil of this particular brand because I used a few of their other products earlier and found them very useful. This sesame oil too is of premium quality. Good quality sesame oil. Gives the skin hydrated, bright and smooth appearance.